It seems that it would not be a bad idea – financially, logistically, ecologically – for women to lead the tech revolution in Sacramento. Here are some of the reasons why. A new accelerator for women entrepreneurs in Sacramento – FourthWave – (which was originally launched in LA in 2014 with the intention of being developed in other states) – is helping this actualize. 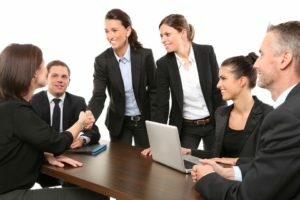 Pointing to Kauffman Foundation research which found that “women-led private technology companies are more capital-efficient, achieve 35 percent higher return on investment, and, when venture-backed, bring in 12 percent higher revenue than male-owned tech companies,” Fourth Wave executives are now trying to get the women the support they need. Most significantly what they are lacking is early capital to get started, which traditionally is discriminately given to men over women. It was most fitting that Sacramento was the first city to adopt FourthWave. The city has many women leaders in the tech and design community (including Cheryl Beninga, Tracy Saville and Melanie Weir) and it is becoming quite the tech hub. This is also due to the commitment to finances and mentoring with a city grant having been given to FourthWave Sacramento. In addition, Sacramento is working on its ecosystem which is becoming evident through female leadership. Female entrepreneurs are working in healthtech, edtech and more and it’s working out for them being in Sacramento. Let’s not forget also that Sacramento is actually the nation’s largest economy and thus might be able to impact other cities that are seeking to rebrand themselves within different partnerships and with women in power. With all this in mind, Sacramento could become the next best place for women in top tech executive positions. With the launch of Sacramento-based Byte Foods a year-and-a-half ago, some of the city’s businesses will soon be privy to “smart refrigerators,” which are basically vending machines that will offer healthy food options, turning the vending machine market on its head (having been known historically for junk food sales). The machine is also much simpler to use than the old method of having the right money and/or hoping for the best. With Byte Foods, customers just need to Swipe (their credit card), Grab (the food item) and Go (eat it!). The focus for the food is healthy, wholesome, nutritious and fresh. 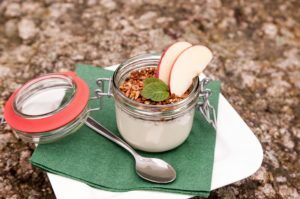 Purchase a Sprogs gluten free Bacon and Egg Power Lunch, a Carrot and Ginger Soup, Avocado Power Lunch sandwich, Organic Breakfast Bistro, BBQ Chopped Salad with Tofu and ranch dressing and so much more. The company’s motto is: Always Fresh, Always Open. When the office cafeteria is closed Byte Foods will be open…even at 2 am! It’s clearly working. Delivering around 50 new fridges to offices each month, it is now time for the Sacramento launch. Hotels, medical institutions and educational establishments are also jumping on board. Some of the new businesses that have opened include: Blow Me Away, Coastline Travel Advisors, EDH Insurance Solutions, fitRide, Folsom Lake Eye Care, Tea Xotics and The Game Room Adventure Café. In the near future, these will be joined by C. Knight’s Steak House, Keller Williams, Paramount Equity Mortgage and Pure Barre. 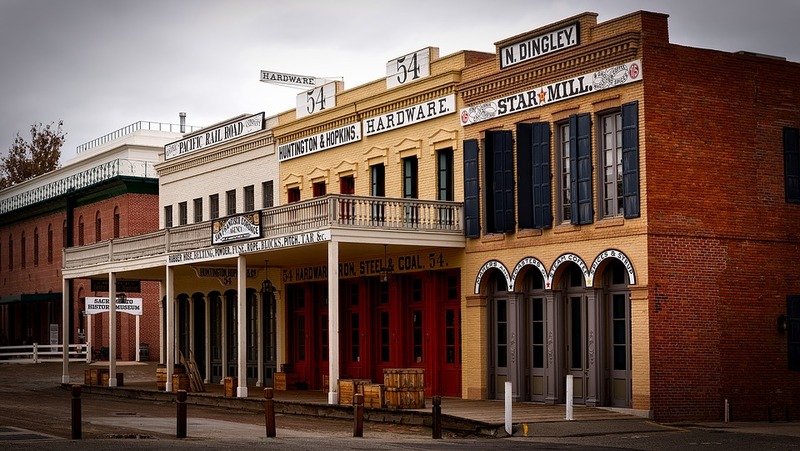 Either way Sacramento seems to have quite a lot to offer for business owners in the region. It appears that more businesses are coming to Sacramento. Sacramento Metro Chamber in partnership with Sac State School of Business are working together at the Small Business Development Center. The center serves 8 counties, 8 regional hubs including Sacramento. 3. 119 loans that infused over $21 m capital into our small business community. What is new – business-wise – in Sacramento? Right now, there are plans for a new Dunkin’ Donuts branch to be in East Sacramento, across from Corti Brothers which should open in the middle of next year. But that’s not all. For fashion lovers, they will be pleased to hear about the new Country Club Plaza additions, which might be quite welcome for those who have dunked a few too many donuts. Yes, a much needed exercise center – Planet Fitness – is due to open TODAY at the Watt and El Camino Avenue retail center. Early in 2017 hungry burger lovers will be pleased to hear about the opening of the Flaming Grill Cafe as well as the hibachi buffet. Later on in the year it is hoped a new movie theater will be opening too. Meanwhile downtown Sacramento is getting a new investor. 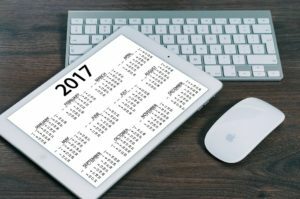 A building that has multi-purposes will be able to now get much-needed renovations, especially in the office areas. Elvidge Family LP is investing $11.62 million in the 1007 Seventh Street building. With the upcoming holidays, Small business Saturday is here to help. Assisting Sacramento businesses during the holiday season, KCRA 3’s Kristen Simoes in this video shows the important role of SME’s in Sacramento’s communities. For more about the company, see this video. Stranger things have happened. But this is true. Around the world it seems people are making money from giraffes. And the Sacramento Zoo could likewise be doing this. Born just last month, the Masai Giraffe calf – named Rocket – made his debut, introducing himself to excited visitors. Along with his mom, they are slowly getting used to life in the zoo, being displayed for one or two hours each morning. There will also be a limit on public access around the exhibit so that Rocket can get to know other giraffes in quiet. Of course, limiting the visits definitely makes people want them more. In Minneapolis, giraffes are also making money for their zookeepers. The Como Zoo is now offering patrons the opportunity to get quite close with their giraffes. For $5, people can now feed eight month old (and nine feet tall) Francis there as well as some of the other giraffes. Getting the lettuce is quite a treat for them (which the visitors will feed them) as their mine diet comprises alfalfa, hay and food pellets. While it was the non-profit Como Friends which raised money for this new area, there will be money made from the $5 a pop for feeding rights. In Essex County, UK, the Turtle Back Zoo’s $7 million giraffe exhibit officially opened. 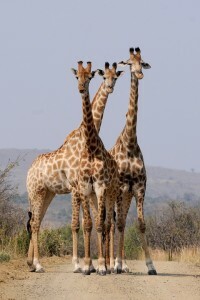 This exhibit is the largest at the zoo and comprises: whistling ducks, ostrich, four Masai giraffes and tortoises; it also now is recognized in the 29 Association of Zoos and Aquariums-accredited zoos that house 119 giraffes. And then in Australia, money is being raised for the naming of the new baby female giraffe. The naming event will be held in Los Angeles at the Steve Irwin Gala Dinner, held in honor of the late Crocodile Hunter. Funds raised will be put toward the charity Wildlife Warriors that supports global conservation initiatives. So it seems that around the world, giraffes are making money! Get ready for some crazy fun, because the Three Stooges are soon going to be back in action. That’s right. Independent producers will soon be launching a Three Stooges action comedy that will include Sean Hayes (Larry), Chris Diamantopoulos (Moe) and Will Sasso (Curly). The three have already proven themselves when they starred in Fox’s 2012 movie “The Three Stooges” which was produced, directed and written by the Farrelly Brothers. Certainly, the three stooges have been wildly popular with fans and those creating the newest movie expect to have a wide-reaching and enthusiastic audience as well. The new version will be produced with C3, Grand Peaks and the Exchange. 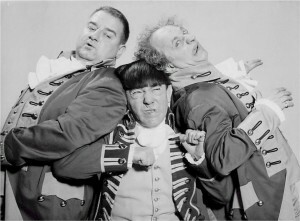 C3, the owners of the Three Stooges brand, will run the film’s licensing, merchandising and promotional materials. Executive producers will include Jeff Bowler, Earl Benjamin, Robert Benjamin and O’Shea. Cameron Fay will be writing the script. This is certainly a business venture worth watching – and a film that people will flock to see. As a way of transforming food that would be wasted into a valuable commodity, Sacramento-based Valley Vision and CropMobster have teamed up with their new venture. Valley Vision is a non-profit organization set up over two decades ago in order to “improve people’s lives.” CropMobster is a web location dedicated to the exchange of various agricultural merchandise, including food. Together – Valley Vision and CropMobster – are making food waste into a valuable commodity. As well, people can post job opportunities, events and ways to donate. There is no fee for using the site. Bay Area communities can all benefit from the non-profit side of this venture that can also ultimately become, a profitable site (helping people move up in the employment world).